Located on Juhu Tara Road, The Emerald - Hotel & Executive Apartments, Mumbai / Bombay is conveniently located in the heart of the most happening places of Bombay. Our excellent location in Mumbai is a haven for shopping enthusiasts. With Designer Boutique Stores and Restaurants just located adjacent to this hotel in Bombay, you will be overwhelmed by the exciting shopping and dining experience. Diagonally opposite to the Jehangir Art Gallery is the high seat of learning with a wonderful architecture. 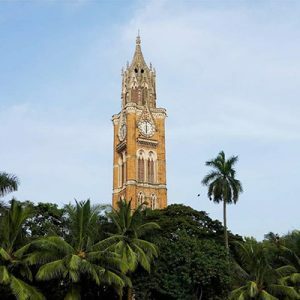 One of the most important landmarks of Mumbai, it houses the Rajabai Tower, named after Rajabai. It is akin to Landon's Big Ben with a huge 100- year old clock ticking away a top the building. Close to 1000 Shops including well known Fashion Boutiques, Restaurants, Lounge Bars and Entertainment venues. 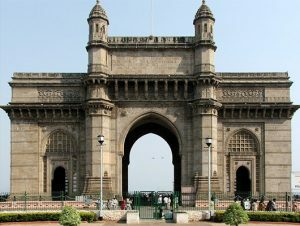 Plan a day or two of shopping while on a visit to Bombay at some of the famous Designer stores within walking distance of the Hotel on Juhu Tara Road. This famous Jain Temple built in 1904, is dedicated to the first Jain ( TIRTHANKAR LORD ADINATH). 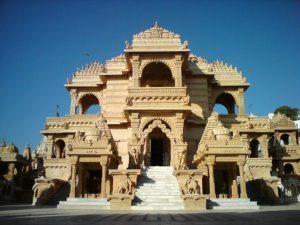 It is typical of modern jain temple. The Jains are strict Vegetarians and respect life form in all Creatures including Birds, Animals and Plants. Jains strongly follow the path on AHIMSA (non-violence). It is said that Mahatma Gandhi, the father of the Indian Nation, was greatly inspired by the Jain religion.